Sepp Blatter and Michel Platini, two of the most powerful figures in global soccer, were barred from the sport for eight years on Monday morning after being found guilty of ethics violations. 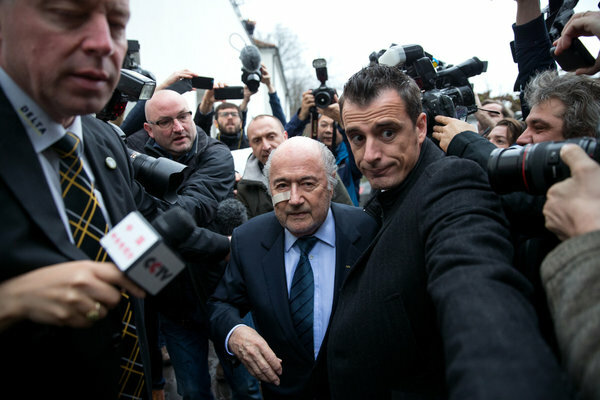 The suspensions were imposed by the independent ethics committee of FIFA, soccer’s international governing body. Mr. Blatter, who is FIFA’s longtime president, as well as Mr. Platini, who is the president of UEFA, which oversees soccer in Europe, are prohibited from taking part in any soccer-related activities while barred — a sanction that, in Mr. Platini’s case, seemingly ends any chance that he will be able to run in February’s special election to fill the post Mr. Blatter has said he would vacate. 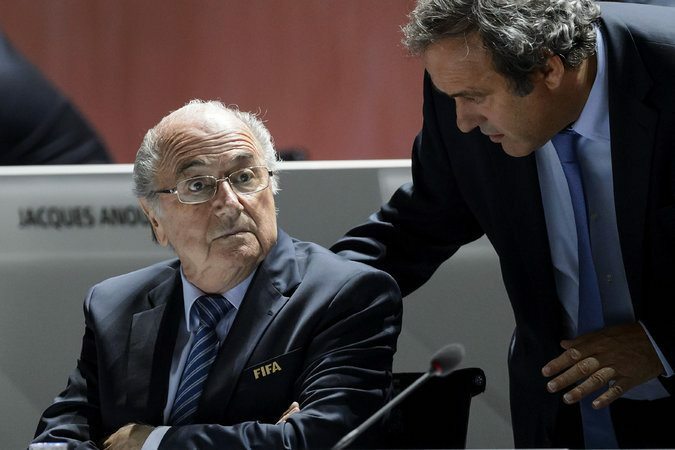 Mr. Blatter, 79, and Mr. Platini, 60, had been provisionally suspended since October while the investigative chamber of the ethics committee scrutinized their actions at the helm of the sport, in particular a payment of about $2 million that Mr. Blatter approved for Mr. Platini in 2011. 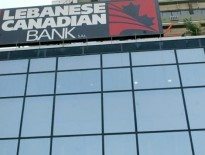 The committee said that Mr. Platini’s actions “did not show commitment to an ethical attitude,” finding that he had failed to respect laws, regulations and FIFA’s regulatory framework and adding that he had abused his position as a vice president for the soccer body and as a member of its executive committee. Mr. Blatter, who was fined 50,000 Swiss francs, or about $50,370, and Mr. Platini, who was fined 80,000 Swiss francs, are expected to appeal the verdicts to the Court of Arbitration for Sport, a Switzerland-based body that frequently arbitrates matters involving sports governance. It is also likely that both men will seek an expedited process. Mr. Blatter wants desperately to have his name cleared so that he can host February’s special FIFA Congress, where his successor will be chosen (and, perhaps, where he can also lobby to be named honorary president). Mr. Platini, who had long been seen as the front-runner in the election, will hope to salvage a last-ditch entry into the race. At this point, however, it seems most likely that the suspensions will leave Mr. Blatter and Mr. Platini on the outside of the sport they have led for decades. Mr. Blatter has worked for FIFA since 1975. Mr. Platini has been a member of FIFA’s governing executive committee since 2002. The two men remain under investigation by Swiss prosecutors, who are looking into suspicions of criminal mismanagement of FIFA’s finances and at Mr. Blatter for making what has been described as “disloyal” payments, as well as for selling undervalued television rights to FIFA events. Mr. Platini is a part of that investigation, though not a direct target. In a news conference, held somewhat bizarrely at FIFA’s former headquarters in Zurich, Mr. Blatter railed against the decision of the ethics committee and seemed particularly troubled that he was informed of his suspension shortly after, instead of before, the decision was announced to the news media. He also ranted against the basic premise that the ethics committee could take action against the president and labeled himself a “punching ball” of world soccer. The FIFA suspensions came after a weekend of deliberations by the ethics committee, which heard Mr. Blatter’s side of the story on Thursday and Mr. Platini’s on Friday. Mr. Platini did not attend his hearing, sending his lawyer instead in a form of protest over what he said was a predetermined outcome. “I am already judged, I am already condemned,” Mr. Platini said in a statement read by his lawyer. Mr. Blatter attended his hearing and spent about eight hours defending his record as an employee of FIFA, in various capacities, for more than 40 years. Mr. Blatter became FIFA’s president in 1998, and Mr. Platini worked for him as a special consultant from 1999 to 2002. Mr. Blatter approved a payment of $2 million to Mr. Platini nine years later, in 2011, that he has said was simply back payment of salary owed. There was no written contract detailing the basis for the payment, however, and Mr. Platini has said in interviews that there was simply a “gentleman’s agreement” between him and Mr. Blatter to cover the difference between what he was paid at the time and the full amount. Investigators found the late payment suspicious in part because of its timing — just a few months before Mr. Blatter began campaigning for re-election to a fourth term as FIFA president. 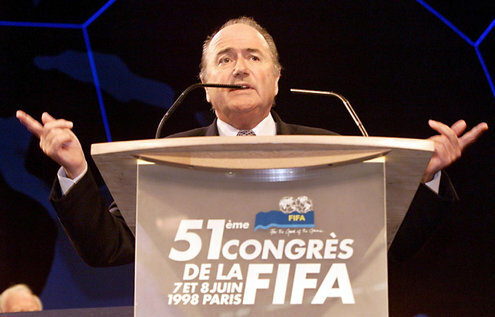 UEFA, led by Mr. Platini, supported Mr. Blatter, who subsequently won the vote after the only other candidate in the race withdrew. During his news conference on Monday, Mr. Blatter denied any link between the payment and the election. He also revealed that the process surrounding his investigation had had an effect on his family, as his granddaughter recently moved schools because, Mr. Blatter said, she had been subjected to taunting over his situation. Mr. Blatter won another four-year term in May, only to announce days later that he would step down amid a growing scandal enveloping soccer. The United States Department of Justice has indictedmore than three dozen top soccer officials and marketing executives on a variety of corruption charges, and the Swiss authorities are conducting their own investigation, which includes an examination of the process by which Russia and Qatar were awarded the 2018 and 2022 World Cup tournaments. In addition to the criminal investigations, FIFA’s ethics committee has been more public in its discipline, and Monday’s bans were not out of context with previous decisions. Chung Mong-joon, an honorary FIFA vice president, recently received a six-year ban for ethics violations, while Harold Mayne-Nicholls, a Chilean who was involved in the evaluation of the 2018 and 2022 bids, received a seven-year ban. Now, it is Mr. Blatter and Mr. Platini who have received similar suspensions, though Mr. Blatter vowed that this would not be the end to his career in soccer. At the conclusion of his news conference, which went on for nearly an hour and included Mr. Blatter defending himself in English, French, Spanish and German, Mr. Blatter departed with a defiant promise. 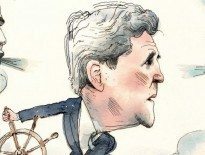 Next Article Negotiating the Whirlwind: Can Secretary of State John Kerry break through in Syria?